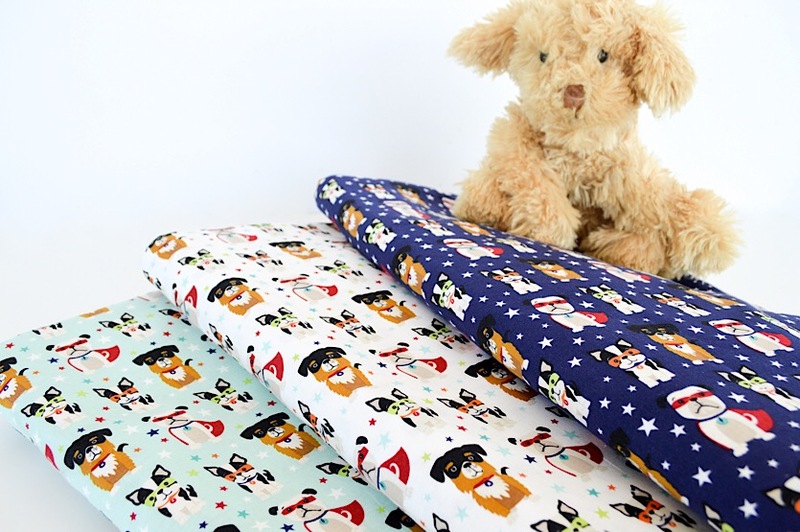 Super Dog fabric is here and we are SUPER excited to start playing with it! 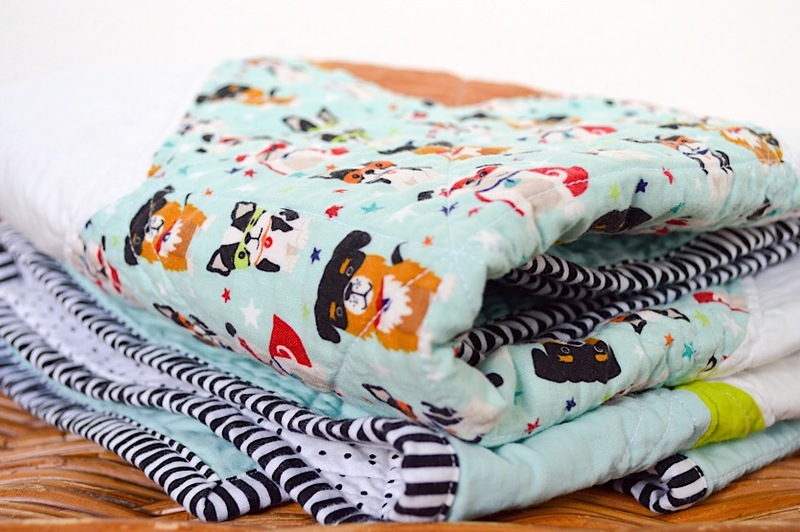 From doggy dish mats to baby quilts and pajama pants, this fabric is a fun treat for every dog lover. 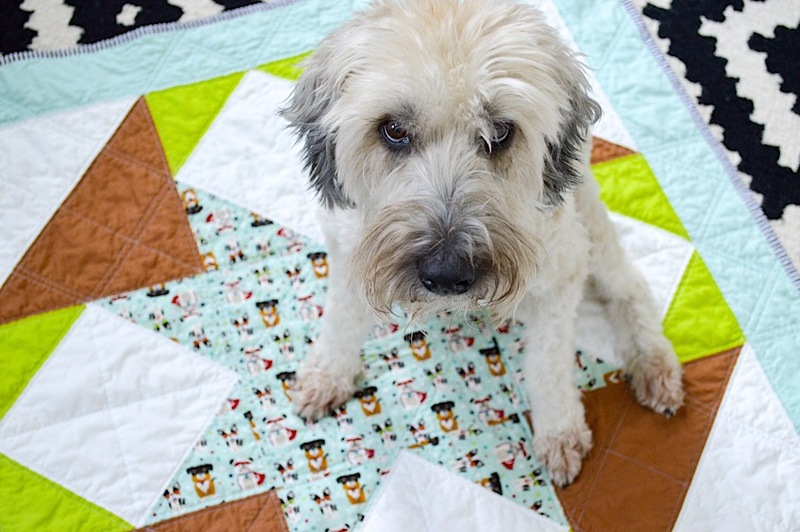 KITCHEN TABLE QUILTING has some amazing free Giant Quilt Block patterns on her blog. 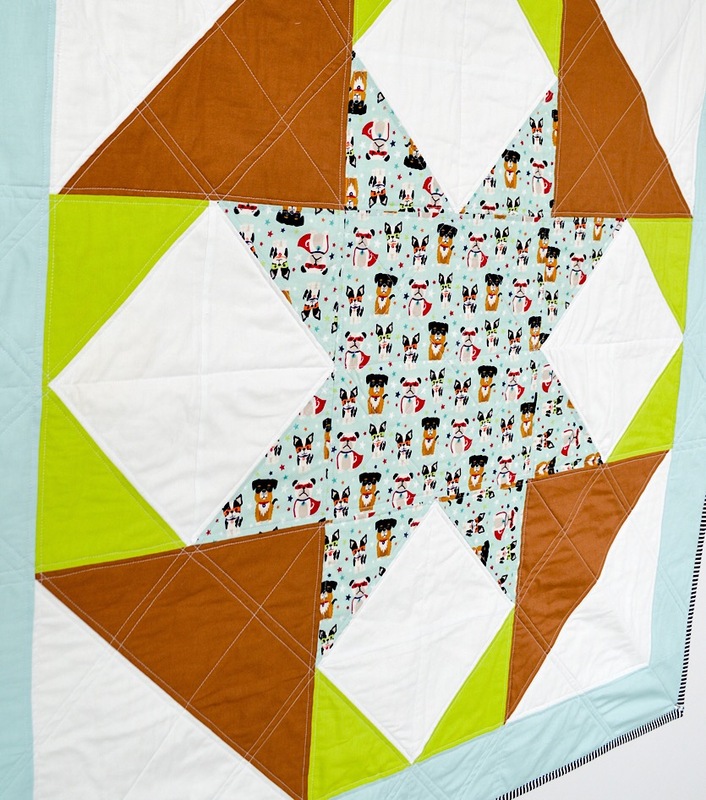 I used the September pattern in the 36” size, and added a 4” border to create this one-of-a-kind baby quilt. It’s that easy! Super Dog comes in 3 colors: Teal, Cream, and Navy. 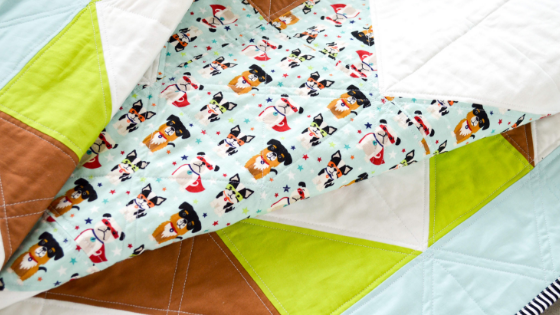 I used the Teal print, but truthfully, it was difficult to choose – they are all adorable! Apparently. 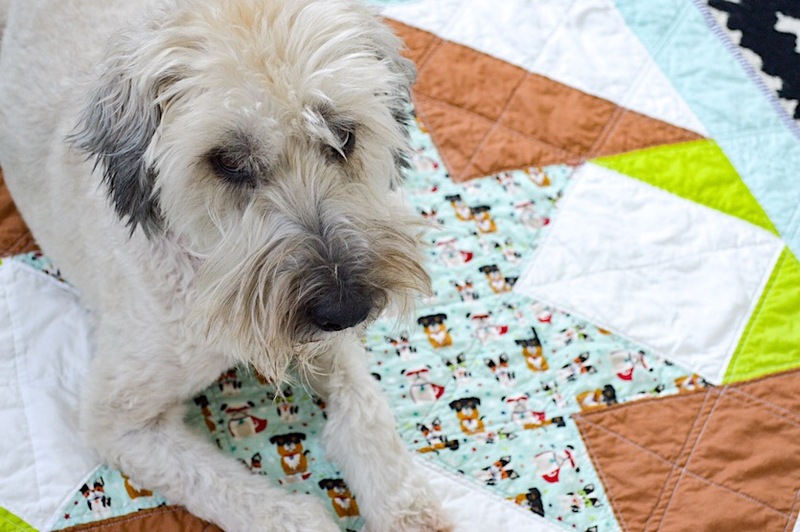 this quilt isn’t only for babies. Sunny the dog has claimed this as her own, and she doesn’t look like she is messing around! I used Riley Blake Black Reverse Swiss Dot for the quilt back, and Riley Blake 1/8” Black Strip for the binding. 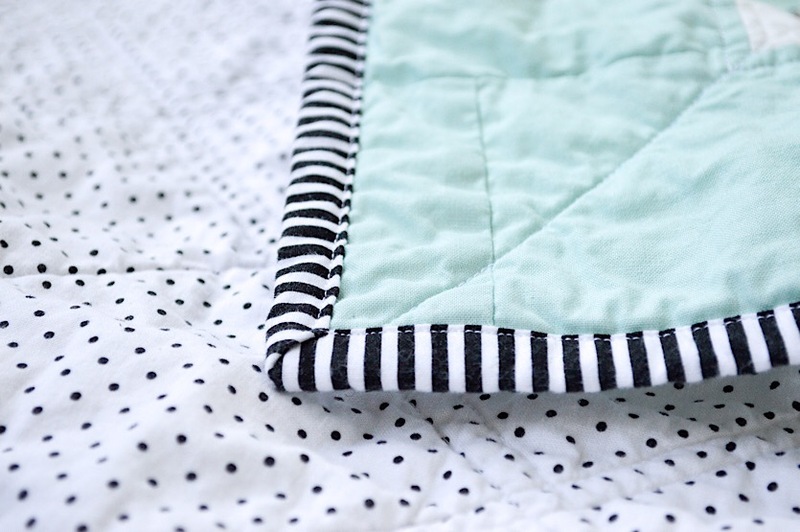 I love the addition of black and white to this quilt! 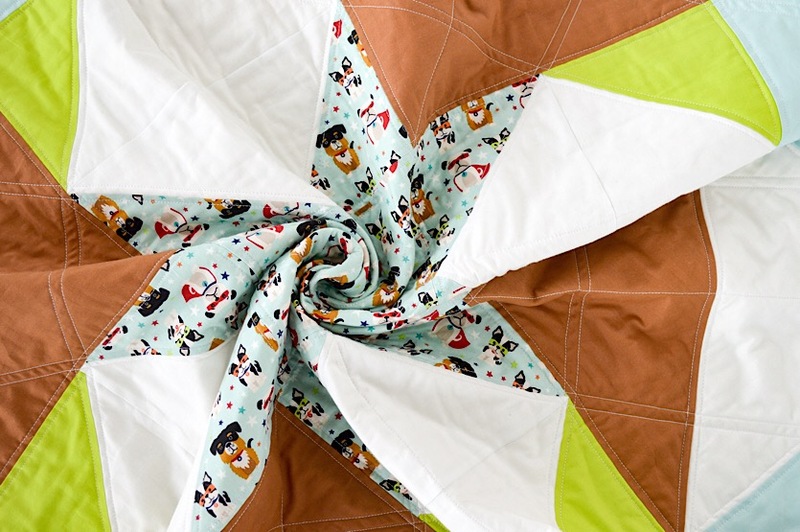 The Riley Blake Confetti Cottons give this quilt a decidedly bright, modern feel. I quilted along the diagonal lines of the quilt, but you could use straight horizontal lines, freeform, or any pattern you like! For me, the most satisfying part of making a quilt is running it through the washer and dryer and seeing the crinkly finished product! 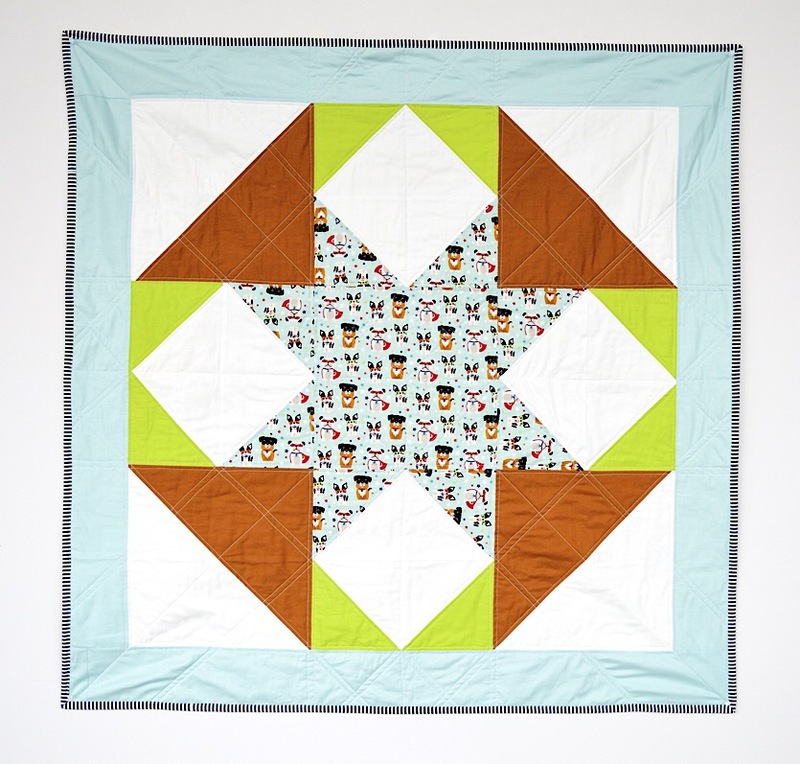 Super Dog is available now at your favorite local and online quilt shops, so pick up yours today and share your makes with us on Instagram using #rileyblakedesigns #fabricismyfun #iloverileyblake.